Keep updated by subscribing your email to our mailing list. We are sorry that no report is currently available for this match. 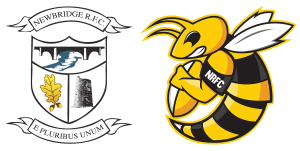 Newbridge RFC was formed after the amalgamation of neighbouring clubs, Curragh RFC and Old Kilcullen RFC, in June 1996. Both clubs had seen their membership diminish and so a new future was born. Newbridge has now seen a major influx of under-age players (male and female) and the success of their senior adult players together with the renovation and addition to the clubhouse have brought a whole new transition of this rugby club. A friendly and outgoing club is there to be enjoyed. Designed by Hosting & Web Solutions.